RESEARCH is the sole surviving large zulu, a first class herring drifter of the type once numerous along the shores of the Moray Firth. She was built as Heather Bell (BF 1206) in 1903 by W & G Stephen, of Banff, for three co-owners – the fishermen George Paterson, William Lyall and Andrew Lyall, all of Macduff in the County of Banff. She had a 62ft keel but the long raking stern gave her an overall length of 78ft. 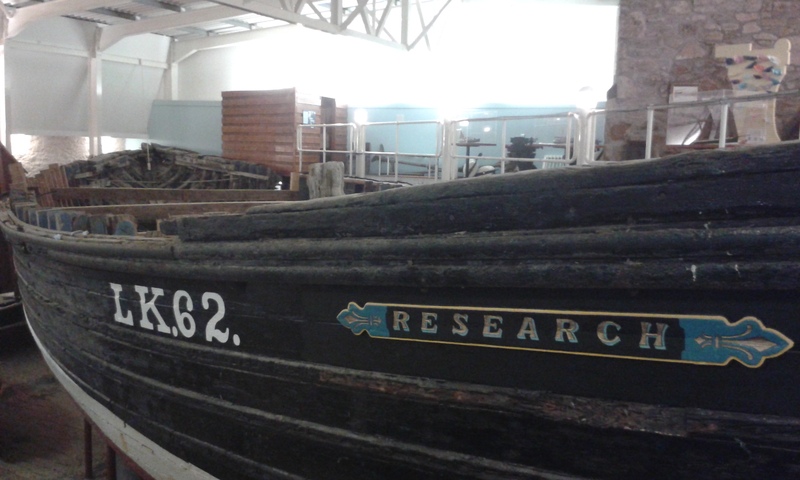 The new boat was registered on 6 May 1903 and her first skipper was Alexander Paterson. 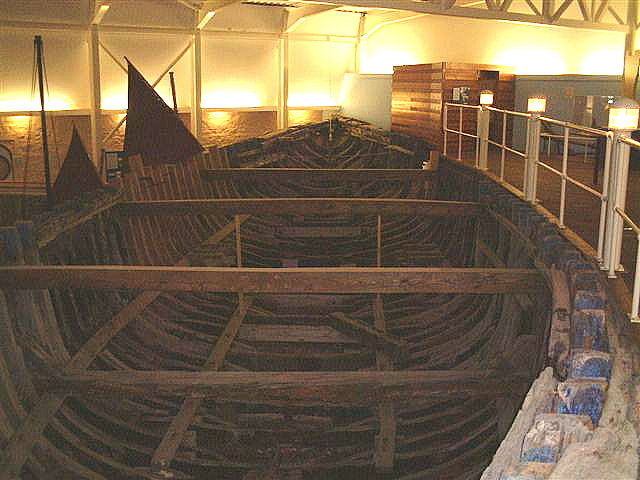 Equipped with a steam capstan for hauling the drift nets, Heather Bell fished under sail for herring in the summers until April 1912, when the Banff registration was closed and her new owners (William and John Ritchie, of Rosehearty) registered her at Fraserburgh (FR 498). A 30hp auxiliary Kelvin engine was installed but later the sails were discarded when a second 30 hp Kelvin was added. In the early 1920s these engines were replaced by twin 60hp Kelvins, which powered her for over forty years. After several changes of ownership at Fraserburgh she went north to Shetland in 1935, having been bought by a crew from the island of Whalsay, and was renamed RESEARCH (LK 62) after the crew’s previous vessel. She continued to fish successfully until the Second World War, when she was requisitioned by the Admiralty to carry supplies around the Shetlands, and also saw service at Scapa Flow, Orkney. In 1945 RESEARCH resumed her fishing career under skipper Robert Polson, and in the following year was fitted with a seine net winch which allowed her to take part in the new winter fishery which had developed off Shetland during the war years. 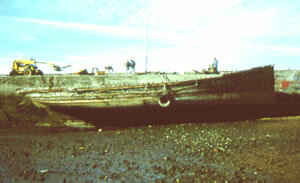 In 1955 her younger crew members left for a new vessel and RESEARCH was laid up in the subsequent winters but continued to fish for herring in the summers. Remarkably she remained a very successful boat, and in the late 1950s recorded her biggest catch of 211 cran. In 1968, by which time her skipper Robert Polson was over 70 years old, she completed her last season and was laid up. 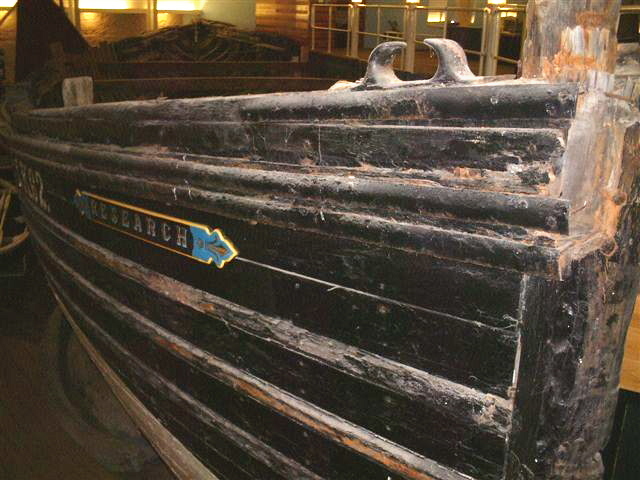 In 1979 the Scottish Fisheries Museum mounted a rescue operation and towed the boat back to Anstruther with the intention of restoration back to her original appearance. 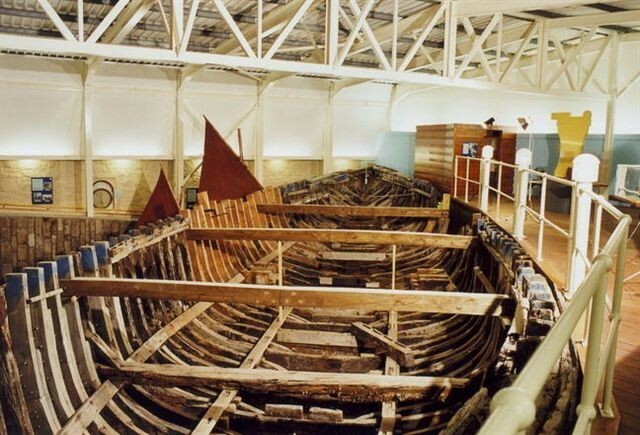 However she sank shortly afterwards and after being raised was refitted at Miller’s boatyard in St Monans in 1984 at a cost of £24,000, with a new keel, some new planks and the internal doubling of some frames. She went down again in the winter storms of 1995-96 and lay under water for three months. 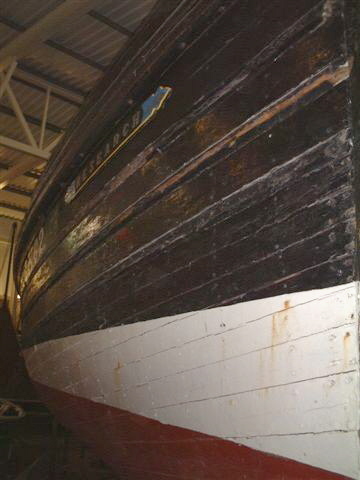 With the help of a £35,800 Heritage Lottery Fund grant she was lifted into a steel cradle at Anstruther and a project to display her in a new gallery, with other smaller craft, was embarked upon. In addition to local fundraising the project benefitted from a further grant of £664,000 from the Heritage Lottery Fund in 1997/98. 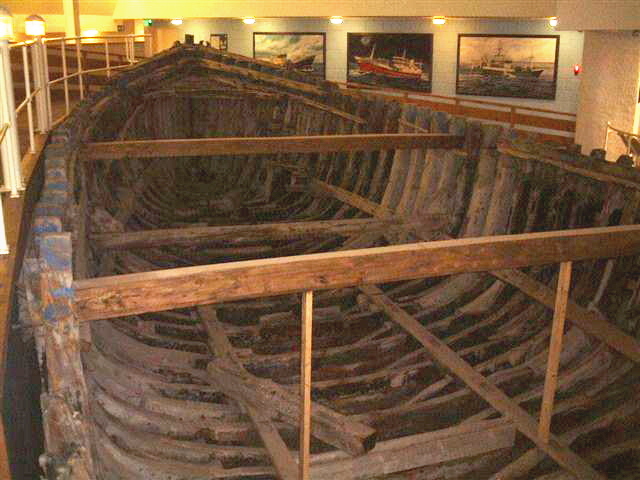 The new gallery opened in April 2000 and RESEARCH is displayed as a bare undecked and unrigged hull.